Has it crossed your mind that perhaps you or a loved one were victims of a crime due to negligent security at apartment buildings in Fulton, Cobb, and Gwinnett counties in Georgia? Had there been adequate and reasonable security measures taken, would the crime still have occurred? If you think that there’s a possibility this may have happened to you, you should pursue a claim for your loss. Lighting or light fixtures were found to be inadequate or not functioning. Given known or prior criminal activity at or near the premises, not enough security was provided. Surveillance systems went unmonitored or failed to capture any activity. Door locks and gates were missing or malfunctioning. Windows were broken that allowed the crime to occur. Security personnel that lack proper training or allowed unauthorized individuals onto the premises. A lack of appropriate security standards was found. If any of these conditions are found to be at the apartment building or complex in your situation, you may have a claim that you can pursue. 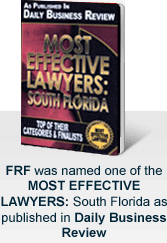 Our attorneys know exactly how to fight for your right to receive compensation for your loss. They begin with a thorough investigation of your case and of the premises in question, checking for missing or broken equipment and security measures, as well as establishing the apartment building’s duty to provide the necessary security to prevent a crime. Oftentimes, our firm discovers that the accident could have been anticipated by the property owner or manager based on prior warnings. Individuals in Fulton, Cobb, and Gwinnett counties in Georgia deserve proper representation after becoming victims of a crime. If you believe that the crime you or a loved one endured was due to negligent security at apartment buildings, do not hesitate to contact our attorneys. We have litigated hundreds of cases and can apply that knowledge to fight for what you deserve in court. Call us at 877-448-8585, or contact us online, to receive a free consultation.